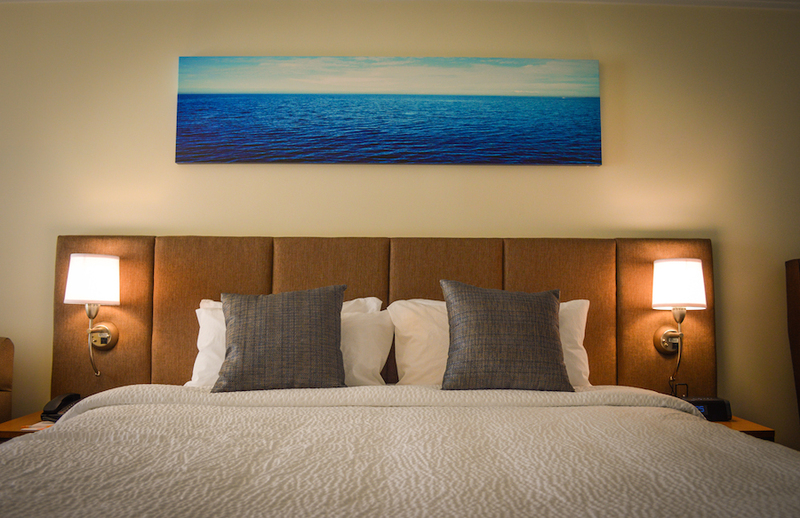 When James Republic first opened a little over a year ago, its beautiful design had only one major flaw: the hotel the restaurant was connected to, the Courtyard Marriott, lacked any type of complement. But that was, according to General Manager Silvano Merlo, the initial process of what has ultimately become a $5M renovation for the East Village Arts District hotel. The Post was invited to take a first look at the new rooms, designed by VanRooy Designs (wife and husband team Christine and Jerry van Rooy, of which Christine is also part of Long Beach State’s Design Department), the same team that tackled the nautical-inspired James Republic aesthetic. 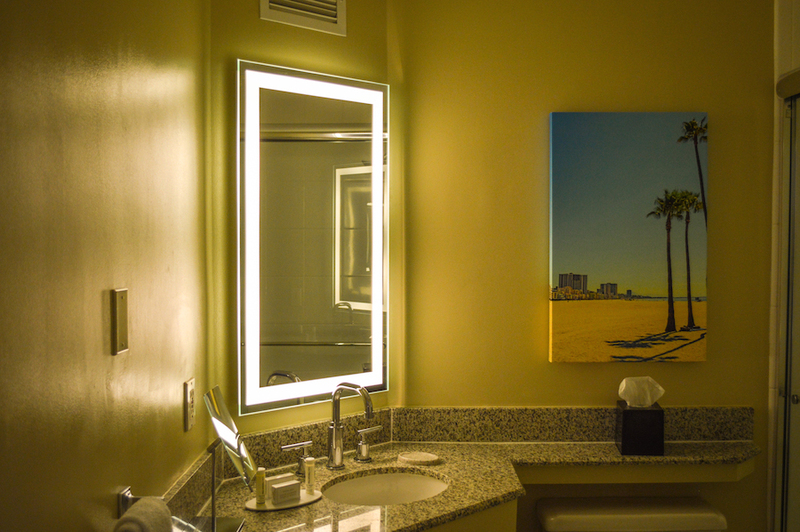 Keeping with all things Long Beach-y, the hotel rooms reflect more directly to the renovated lobby than James Republic itself. 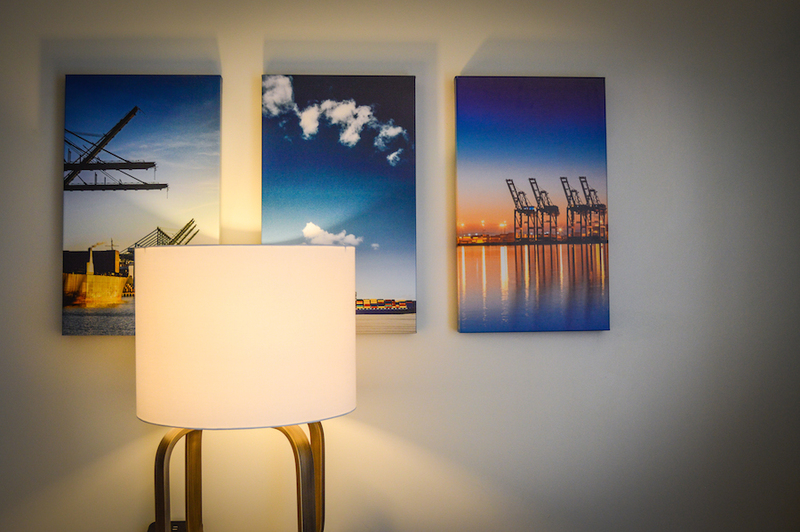 James Republic’s nautical inspiration is ubiquitous while the lobby has an unabashed, old-school-meets-contemporary Long Beach theme—and the rooms are even more in-your-face LBC. 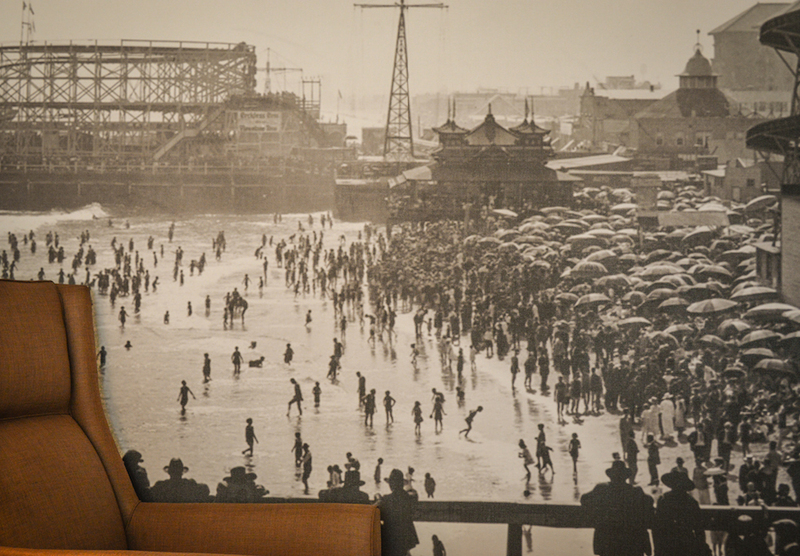 On one side, a single wall is adorned with a black-and-white wide shot of our shores, used as wallpaper. Taken sometime probably in the late 1930s or early 1940s, the nostalgic image shows off the iconic Cyclone Racer in the distance while thousands of beach-goers enjoy the sun in the open and the shade under their umbrellas. On another wall hang ultra-saturated, bright photos of the Port complex. The juxtaposition is both cool and refreshing—and something Merlo hopes will last. “As with James Republic, we are trying to cater to the people who are making the area become what is—that 20-something to 40-year-old crowd,” Merlo said. When discussing the viability of renovations and how hotels manage to stay up-to-date without gouging their wallets, Merlo said that durability is part of smart design—and that includes the rooms. Gone are carpets and in are laminate wood floors. Gone are extensive wallpapering and in are solid color walls. While the lobby has been completed, the rooms are not expected to be completed until the first quarter of next year. After that, the hotel will begin examining how to renovate their ballrooms, fitness and pool areas. The Courtyard Marriott is located 500 E 1st St.
Editor’s note: A representative from the Long Beach Courtyard Marriott originally stated that the cost was $10M; however, that number has been confirmed by other Marriott representatives to be at $5M.